After a great time in Vegas attending Minecon, our family took a road trip to some of the most beautiful and fascinating national parks in the Western US: Grand Canyon, Bryce, Zion, and Death Valley. By far the most spectacular of the parks is the Grand Canyon. Its sheer size defeats any attempt to capture its magnificence in a picture. You just have to see it. 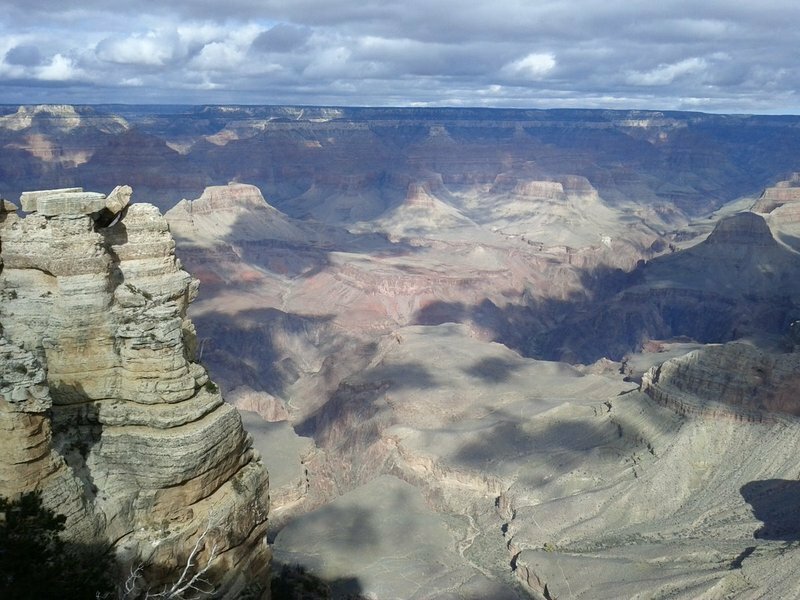 We spent our day first at the National Geographic visitors center (the IMAX movie is worth it), then visiting many vista points along the south rim. 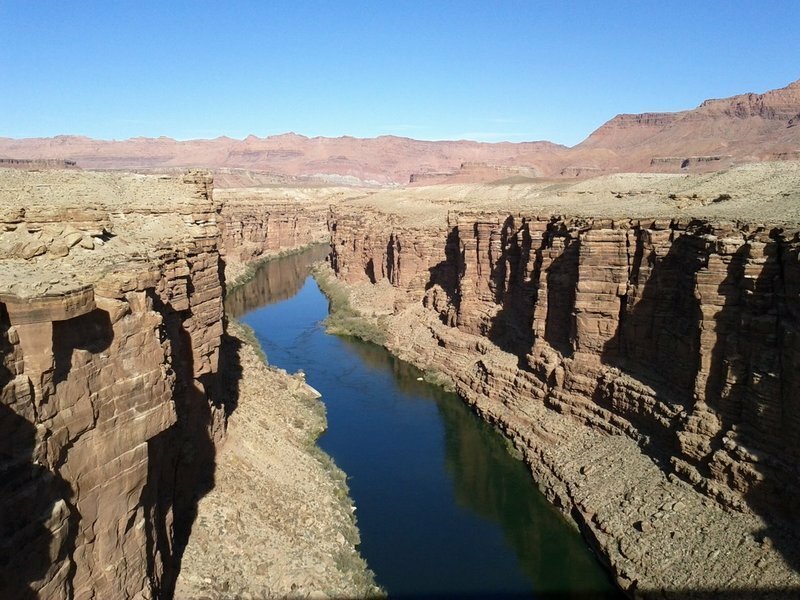 Everywhere you stop a new view of the canyon takes your breath away. Hotel-wise we were very happy with the rooms & amenities at the Best Western Grand Canyon: conveniently close to the park, plus not every hotel has pool tables and its own bowling alley. Great fun with kids! 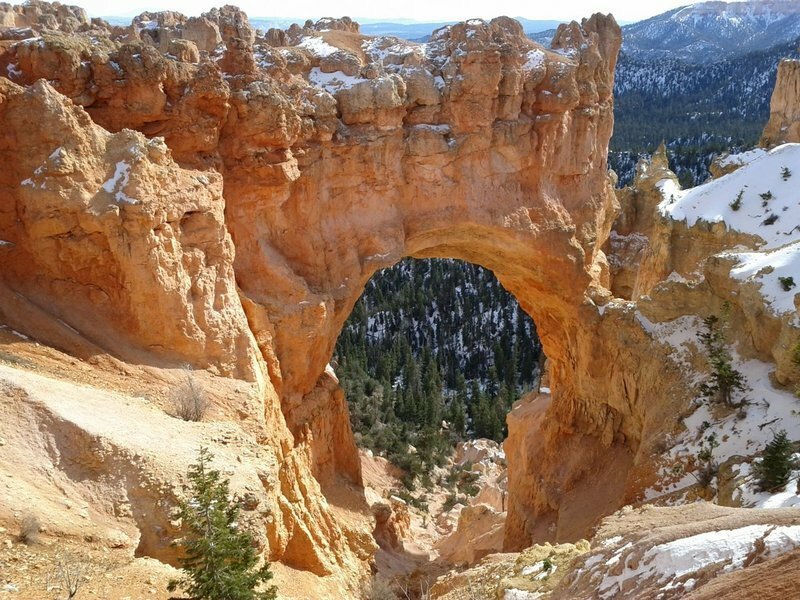 Bryce Canyon and Zion National Parks are close together but worlds apart. Bryce's myriad stone spires make the park the more visually appealing of the two but our boys enjoyed climbing and exploring Zion more. Both are well worth a visit, you can stay at either park. Not knowing that up front, we chose Zion. The town is pretty and larger than I'd expected. We stayed at the Quality Inn. It was a little spartan but the price was great, breakfast good, wifi free, and the people very friendly. Dinner at the Spotted Dog Cafe was delicious and surprisingly affordable with kids. 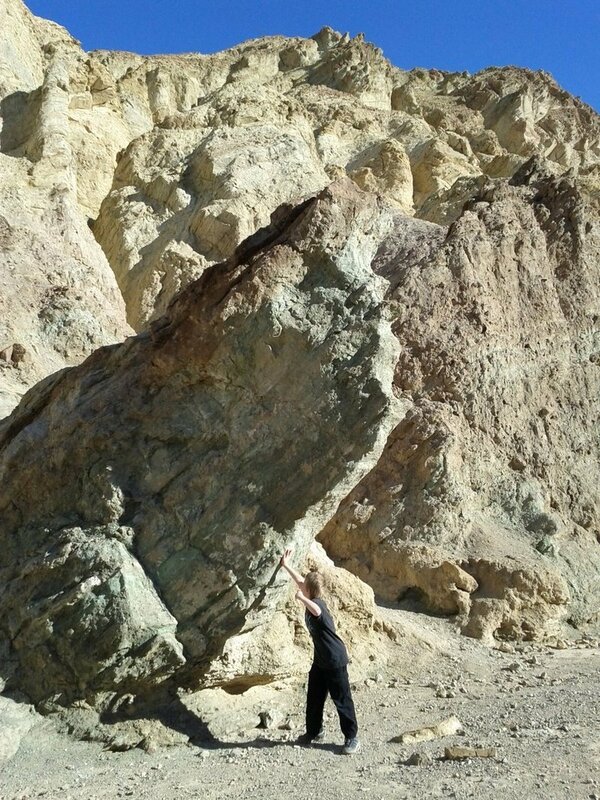 Death Valley's strange landscapes and salt flats made us feel that we'd gone back in time a few billions years. Visiting in late November, the temperatures were very comfortable. Lodging was a disappointment though. With no competition, Furnace Creek Ranch charges double what rooms are worth. If you make a long day of it, you can see most of Death Valley's attractions so you may want to stay off park. While we're at it, fill up your gas tank before entering Death Valley, or do so at Stovepipe Wells. The prices we saw at Furnace Creek hovered at a sweltering $5.50/gallon! A final tip: Buy a National Parks Annual Pass. At $80 this quickly pays for itself as the cost of a park entry is $25/day and, in some parks, card holders can take advantage of faster entry lane. This May my friend and fellow pilot Serge and I flew from Oakland airport to Half Moon Bay to visit the Pacific Coast Dream Machines faire. While the faire itself was nothing special, flying in the Bay Area is always a treat. We flew in Serge's Piper Cherokee, which Serge has flown all over the world (well, nearly :-) including crossing the Atlantic twice. I'd never piloted a Cherokee and enjoyed the experience, esp. since it's more powerful than the Cessna 172 I'm used to. 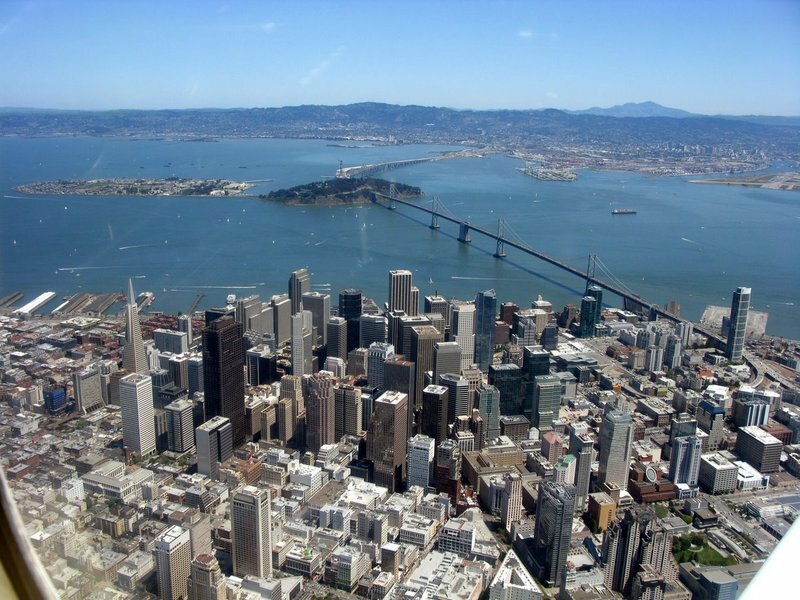 Pictures below: Downtown San Francisco & Bay Bridge, Golden Gate Bridge, Ocean Beach, New (expensive!) Bay Bridge, and the Transamerica Pyramid. A few weeks ago my eldest son Thomas and I visited one of our friends at Google. Andy was a very gracious host and gave us a great tour. We were both very impressed, esp. Thomas as this was his first visit to the Googleplex. Probably the coolest part of our visit was playing with a six screen, 180 degree, panoramic version of Google Earth. It was amazing. Extremely fluid and fast, very easy to control, and the 3D buildings made it a truly awesome experience. Here's ace pilot Thomas as he travels the world. Many thanks to my wife Katrine who did a great job creating a movie out of my poor footage. After many years of thinking about it, I finally got round to visiting Treasure Island. Lying between San Francisco and Oakland it was originally created from fill in the 1930s. The island was mainly occupied by the Navy and has only recently been donated to San Francisco. Nowadays it's a mix of residential housing, hangars, fields, and derelict places. My favorite landmark was a "Genetic Reclamation Area" sign. Why go there? For spectacular views of the Bay and, if you're willing to explore, you can drive down to the base of the Bay Bridge and see some of the impressive construction work going on. 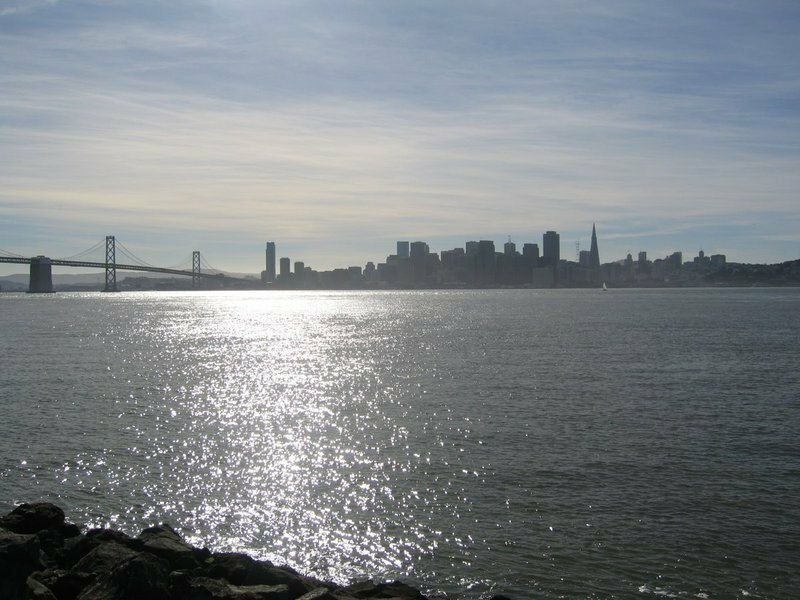 One of the advantages of having a pilot's license is taking family and friends on tours of our beautiful Bay Area. 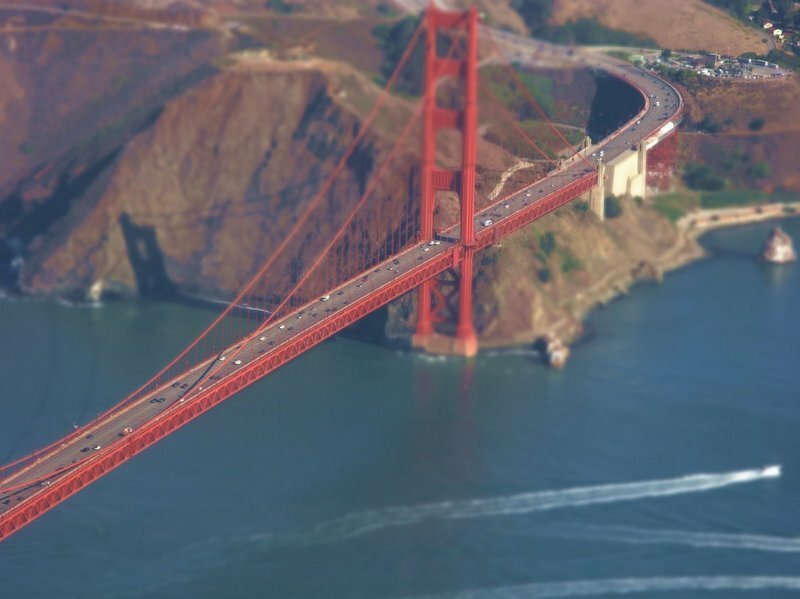 Here are some of the pictures from those flights with some tilt-shift magic added in. I love seeing all these places in miniature! These pics were taken from a Cessna 172 with a Canon G9. Post-processing was performed in Pixelmator, a powerful image editor on the Mac (I think of it as Photoshop for the rest of us), and this handy tutorial. In case you're wondering, in order of appearance, we have: the Golden Gate Bridge, ship graveyard, Point Bonita, Alcatraz, Waterworld, and Clayton Quarry.